In my last post, I mentioned my burgeoning love for The Criterion Collection on Hulu Plus. 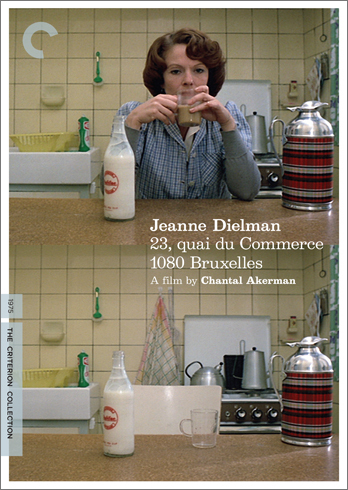 As much as I love Netflix and its ability to connect a cinephile with their beloved obscure fare (i.e., me with any weird art house film from 1970s Czechoslovakia that catches my fancy), their on-demand selections leave much to be desired. Unless your tastes are pedestrian, you aren’t going to find many rarities available for streaming on Netflix, you’ll have to put the film in your queue and wait a few days for it to arrive. Now, that setup is well and good-- I still have a Netflix mail order subscription-- but sometimes you want to watch a movie about the Yakuza at nine pm on a Sunday. It’s at times like these that my trusty Hulu Plus subscription comes in handy. The film follows the titular character through the highly regimented activities of her day-to-day live: cleaning the house, preparing meals for her son and . . . prostituting herself. Jeanne’s strict routines slowly begin to unwind themselves, leading to a shocking and violent conclusion. While hardly graphic, the film isn’t for the faint of heart-- it has virtually no dialogue, subverts traditional narrative structure, and is nearly over three hours long (four if you take potty breaks, like me). If you don’t pride yourself on watching challenging cinema, you won’t stand a chance with this film. Truth be told, this was my second time trying to watch the film; the first time, I checked out after five minutes, this time I stuck with it! I only watched this film two weeks ago and it has already risen among the ranks of my favorite movies. 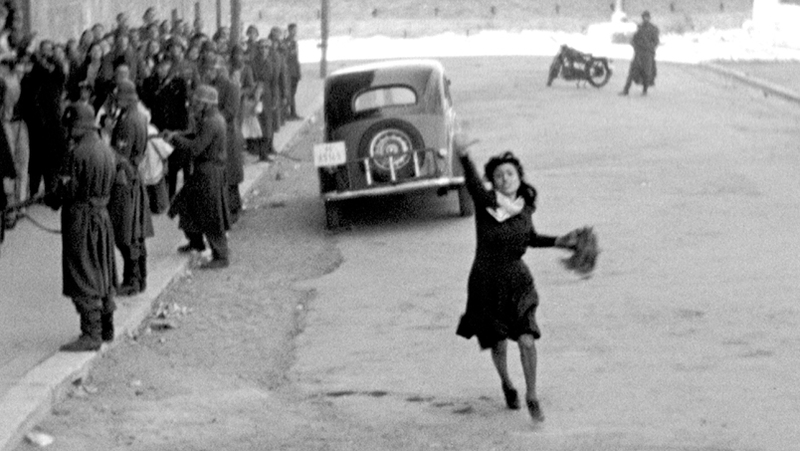 Rome, Open City is the first film in Rossellini’s War Trilogy, a set of films that can be read as a visual manifesto for Italian Neorealist Cinema. The film follows the efforts of a group of resistance fighters who bravely stand up to Fascist forces and pay the ultimate price for their ideals. As with all Neorealist films, Rome, Open City is maudlin, but somehow the film isn’t less gripping for all of its melodrama. This film was ridiculous. Imagine, if you will, if the original Evil Dead and a Sailor Moon cartoon mated and they had a cat name Blanche-- that would be this movie. It’s worse than you think. AVOID! 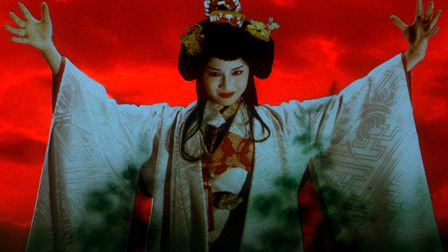 Honestly, I don’t know what has possessed me to watch two Japanese films in a row, but it’s been a trip, let me tell you. 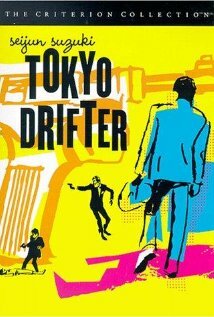 Tokyo Drifter is a yakuza film about a former hoodlum who is trying to go straight before he’s pulled back into the criminal underworld in order to protect his former boss. The poop hits the proverbial fan from there. As campy as this film sounds, and it is campy, it’s a pretty good movie for what it is. If you like your movie’s cheesey and with a catchy jazz soundtrack-- and who doesn’t!-- this little gem is worth a view. As you can see, I have been watching an eclectic mix of films over the past few weeks. If you have any Hulu-specific recommendations for me, let me know!